Elitsa Kapushev is a Bulgarian student at the University of Berlin. Visiting an Iranian summer school focused on the environment in August, she chose to present the work of the Rewilding Rhodopes team. 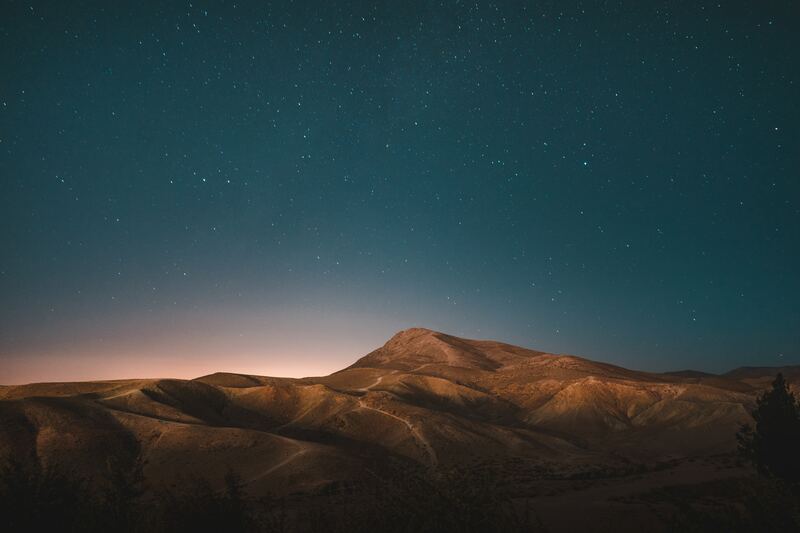 Following her presentation on the work of the Rewilding Rhodopes team, Elitsa Kapushev was able to experience some of the fantastic landscapes and wild nature of Iran. This summer I had the opportunity to participate in a very interesting project in Iran. 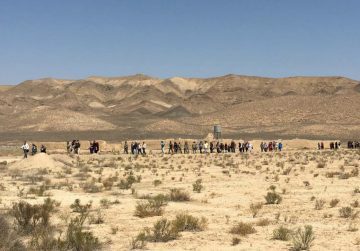 The Summer School “Education for a Sustainable Environment” was the country’s first large-scale international gathering targeting students and young professionals with an interest in environmental studies. As part of the programme, we attended a conference on “Society and Environment” at the University of Tehran, where I had the opportunity to present examples from Bulgaria. I chose to focus on the work of the Rewilding Rhodopes Foundation. But before delving further into the details of the conference, and the summer school as a whole, let me give you some background information about who I am, how I ended up participating in the Iranian programme, and why I chose to present the work of Rewilding Rhodopes. My name is Elitsa Kapusheva and I am currently finishing my bachelor’s degree in socio-cultural anthropology at the Free University of Berlin. My primary interests are the fields of ecological anthropology and the anthropology of education. So, when I stumbled upon an open call for participants for a summer school entitled “Education for a Sustainable Environment”, I was obviously eager to apply. Despite doubts that I would be accepted, I received my confirmation letter in May, my visa in August and landed in Tehran on the last day of that month. 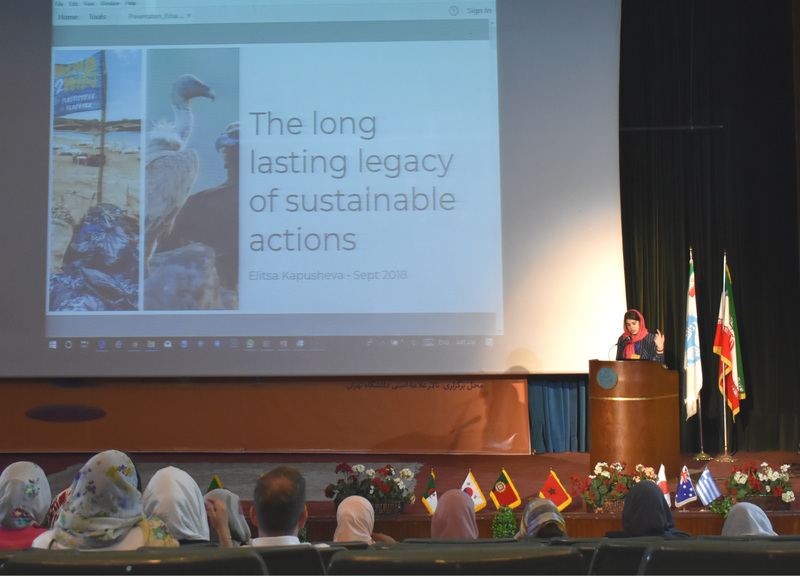 The Iranian summer school raised awareness of environmental problems in the region, and strengthened the participation of young professionals in environmental decision-making. 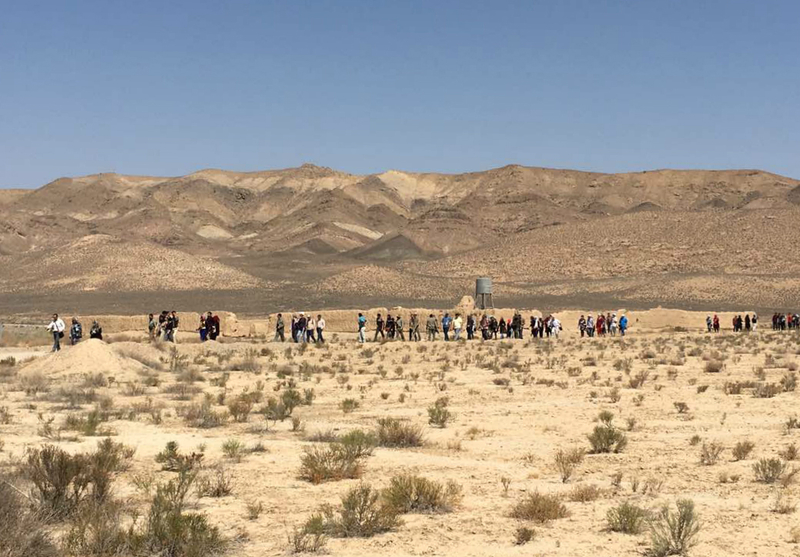 The whole idea of the summer school was brought to life by the student organisation called the Western Asian Development Institute (WADI) – this is basically a project organised by students in cooperation with Iranian state universities. The aim of the programme is to enhance international cooperation, increase knowledge of nature by exploring the desert, mountain, forest and aquatic ecosystems of Iran, raise awareness of environmental problems in the region, and strengthen the participation of young professionals in environmental decision-making. In total around 60 participants from different nationalities took part in the first edition of the summer school. Before arriving we were given a broad outline of the programme, which opened with a conference titled “Society and Environment”. This was organised by the University of Tehran, with delegates, students and faculty members invited to present their research topics and projects from their home countries. When I received an invitation to give a small presentation, I knew I wanted to present a Bulgarian project. But I didn’t want to just pick any project. My aim was to tell a story about a cause, essential to both the environment and the community, while giving some insights into the essence of socio-environmental relations from an anthropological perspective. It didn’t take me long to figure out which project I want to present. I’ve been following the work of the Rewilding Rhodopes team for quite some time, and am very excited about what they do. I consider the Rhodope Mountains to be one of my homes, and for me vultures are fascinating creatures. As a result, I have nothing but respect and appreciation for what the project has achieved so far. This was the perfect opportunity for me to present a project with a visible impact and which I am personally excited about. 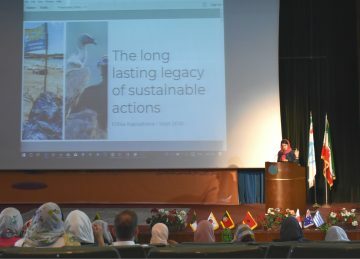 I called my presentation “The long lasting legacy of sustainable actions“, implying that the resolution of certain environmental issues should not be perceived as an end, but merely the beginning of deep-rooted change. Elitsa Kapusheva presents the work of the Rewilding Rhodopes Foundation and Rewilding Europe. I believe that the success of conservation projects depends on adopting an inclusive approach, where locals are involved in the process of nature restoration. Rewilding Europe’s work is a great example, demonstrating that the conservation and enhancement of wild nature can also benefit the socio-economic wellbeing of local stakeholders. The topics of other presentations included climate change and action, waste management, climate justice and capacity building. In fact my talk was the only one on biodiversity management and nature conservation. A few participants and students from the University of Tehran were very interested, not solely in the work of Rewilding Rhodopes, but in the structure and work of Rewilding Europe as a pan-European initiative. After the conference we visited Tehran one more time, and then we spent many hours on the road. We travelled around northern Iran, visiting the universities of Isfahan and Mashhad and attending some lectures and workshops. But my personal highlight was our stay in Golestan National Park, where we learned a lot about the wildlife in Iran from the park rangers working there. All in all my trip to Iran was a very interesting and eye-opening experience. Even though it has been almost a month since I returned, I’m still preoccupied with the impressions I received. I’m glad that I had the chance to spread the word about the incredible work being carried out by the Rewilding Rhodopes team. And now I’m equally happy that I can perform the same role with Iran, whose people clearly care deeply about nature and the environment, and are eager to be part of the global nature conservation movement.